Brewers have moved away from short boil time hops and towards the use of steeped and whirlpool hops (after flameout) to preserve precious hop aroma oils when brewing beer. In this short video we explain why. Great video ….thanks for explaining the advantages of a whirlpool addition. 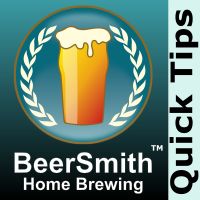 I also heard that you should allow the temp of the wort to drop to about 180 ….so the hop oils won’t just flash off due to the near boiling temp. Is there any truth to that? Yes – the various hop oils all have different temperatures of vaporization, and 180 or even slightly lower is probably a good place to be. I’m currently dropping down the temperature after flameout to 75C and then doing a hop stand for around 20 minutes where I’m not actively cooling the wort. I find this helps a lot at coaxing maximum aroma from the whirlpool addition.